Republicans from across Europe meet in London to call for an end to monarchy amid royal wedding celebrations in the UK. London, UK – Republican sentiment has seemed as welcome as an unruly wedding guest in Britain in recent weeks. 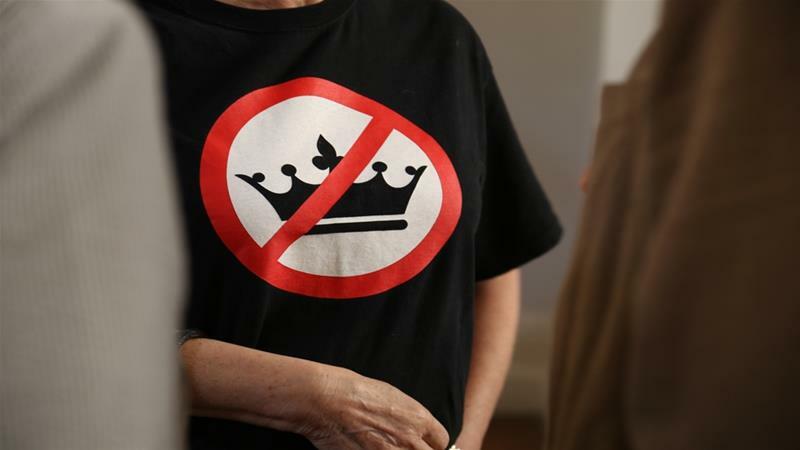 Still, away from the pomp and ceremony laid on for the nuptials of Prince Harry and Meghan Markle, a group of anti-monarchists gathered to mark the occasion in their own way.